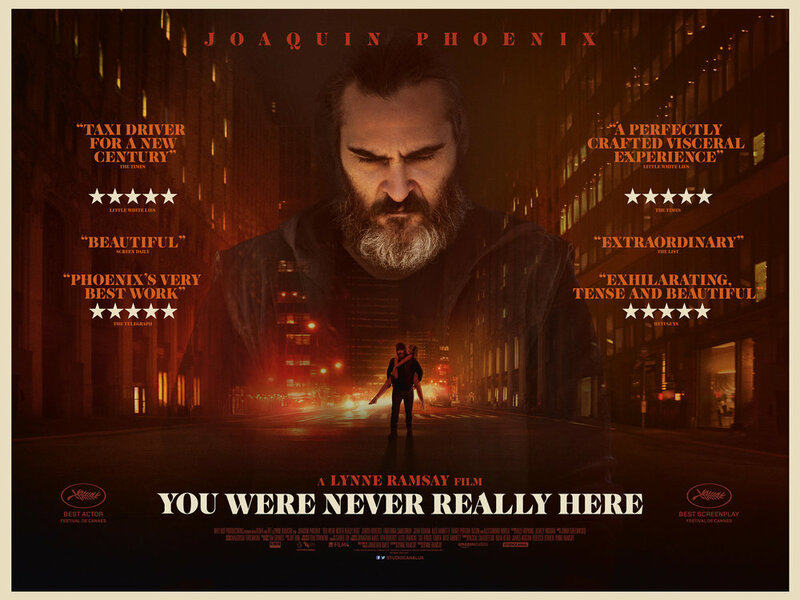 In February 2018, Little White Lies set its readers a challenge: Could you draw Joaquin Phoenix in You Were Never Really Here? Artists far and wide were invited to create an artwork that captures the spirit and dark energy of Lynne Ramsay's film, foregrounding the central performance by Phoenix. The winning artwork is now on display in the Curzon Soho gallery space alongside a selection of runner-up designs. We’d like you to send us an original illustrated portrait of Joaquin Phoenix as his character in the film. Your entry can be as simple or as intricate as you like, but it must incorporate at least one of the following colours. The catch, of course, is that most of Little White Lies' readers will not have seen the film, which will be released in the UK on Friday 9 March. As to the tone of the film and the kind of performance Phoenix has delivered, the artists had to work from clues left by the world's critics, the Studiocanal UK promotional campaign, and the filmographies of Phoenix and Ramsay.